Rivers Cuomo says the album will be "dark," something he's been "struggling to figure out how I can do"
Less than 24 hours after releasing their most recent album, Pacific Daydream, Weezer revealed that they were nearly finished with another new record. At the time, Rivers Cuomo said the band had always planned to follow up 2016’s The White Album with another self-titled LP they’d refer to as The Black Album. Pacific Daydream came together first, but now the alternative icons have confirmed that The Black Album is ready for an expected May 25th release. Weezer is heading out on tour with Pixies this summer, and you can win tickets to a concert near you here. 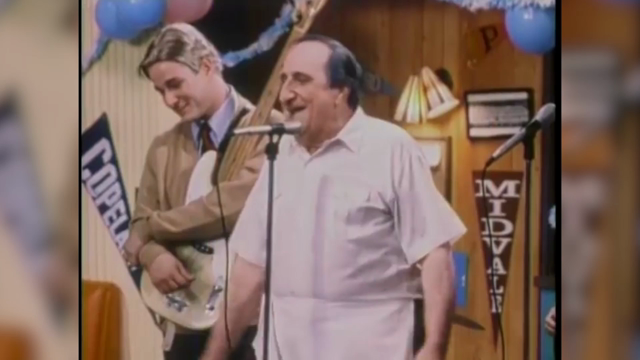 Below, watch an annotated breakdown of their classic “Buddy Holly” video.